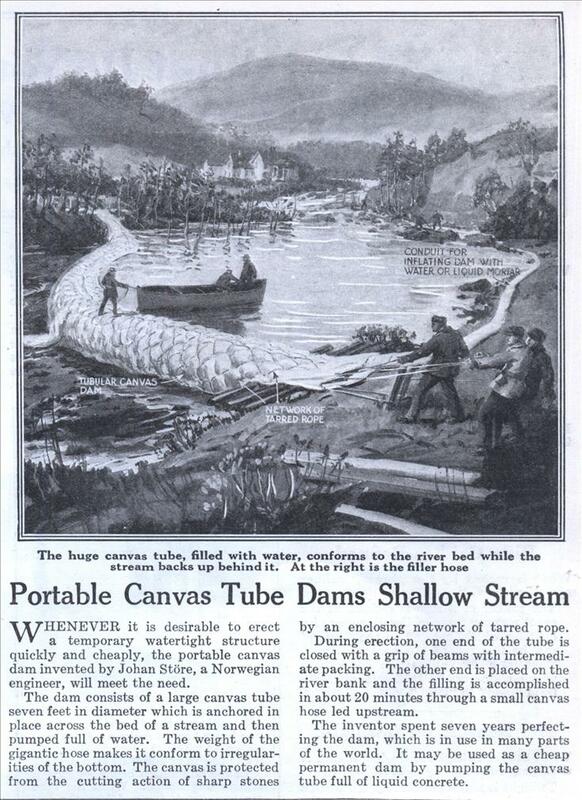 WHENEVER it is desirable to erect a temporary watertight structure quickly and cheaply, the portable canvas dam invented by Johan Store, a Norwegian engineer, will meet the need. The dam consists of a large canvas tube seven feet in diameter which is anchored in place across the bed of a stream and then pumped full of water. The weight of the gigantic hose makes it conform to irregularities of the bottom. The canvas is protected from the cutting action of sharp stones by an enclosing network of tarred rope. During erection, one end of the tube is closed with a grip of beams with intermediate packing. The other end is placed on the river bank and the filling is accomplished in about 20 minutes through a small canvas hose led upstream. The inventor spent seven years perfecting the dam, which is in use in many parts of the world. It may be used as a cheap permanent dam by pumping the canvas tube full of liquid concrete. If you look up ‘Tempe Town Lake’, you can see that it uses a similar dam. 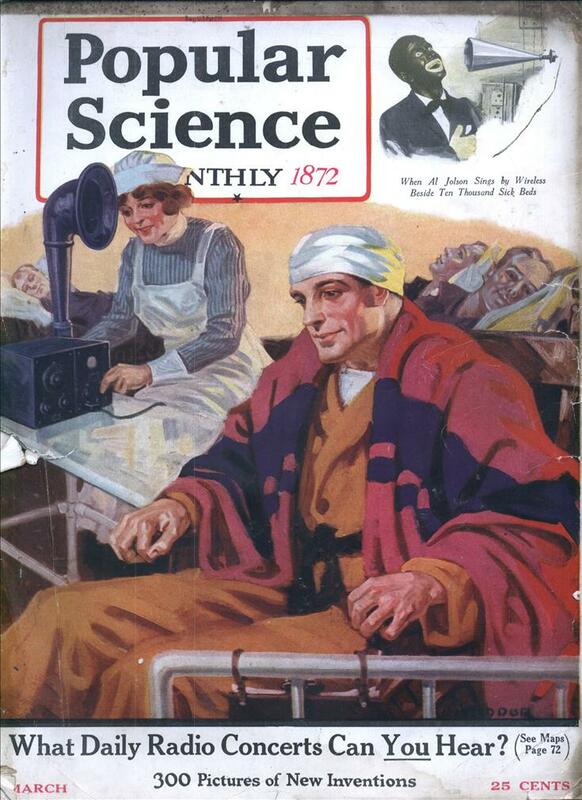 Ours, however, is made of rubber and is much larger than the one in this article.